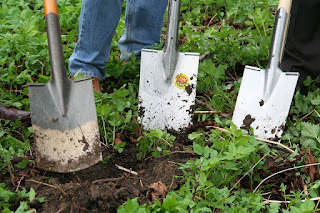 Garden Tools Corner Blog: An In-Depth Look At Digging Tools Let's Get Digging! 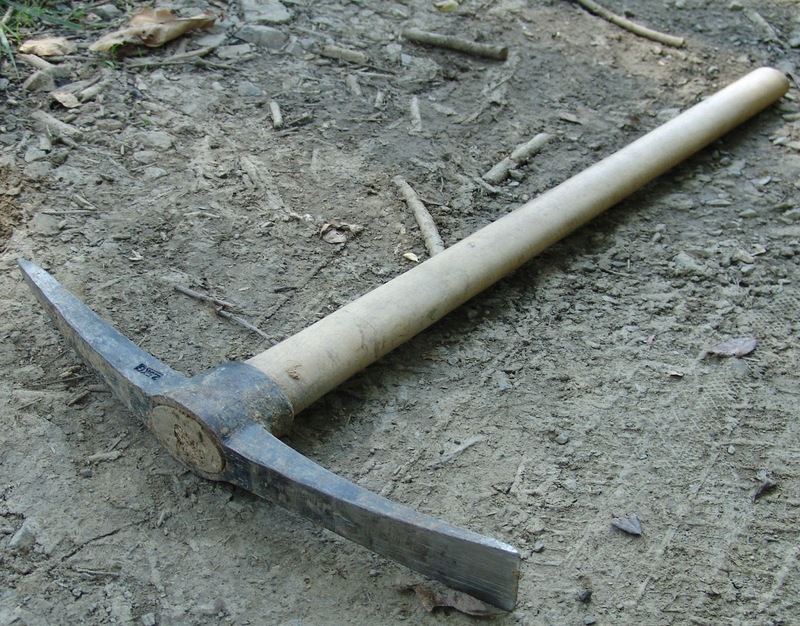 An In-Depth Look At Digging Tools Let's Get Digging! 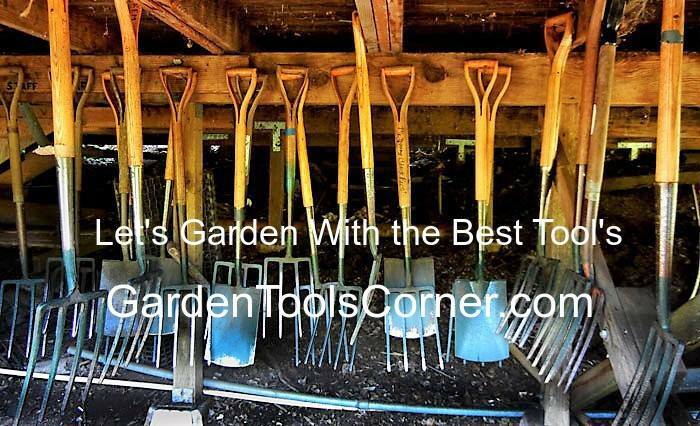 If you’re looking for gardening digging tools, recommendations are great! 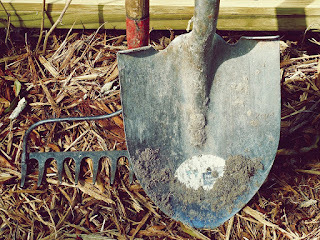 If you’re looking for tools that will help with flower gardening or landscape gardening, here are my recommendations. Even among the basic garden tools, you are bound to find a wide variety of designs and sizes - enough to cause confusion when shopping. There is a reason for so many options - using the right tool for the right job makes your work easier and more efficient. 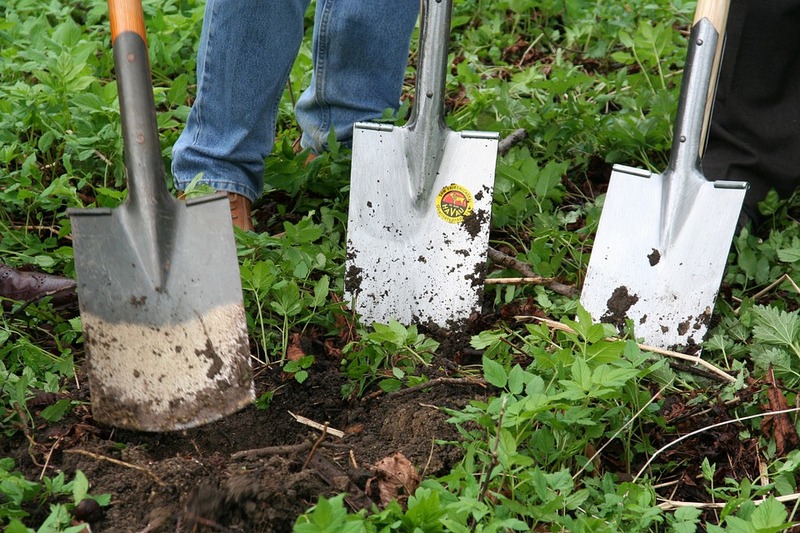 When selecting garden tools, make sure you get the right tool for the job, but don't stop there. Part of selecting any tool is the "How does it feel in my hand?" test. When choosing, try to imagine how the tool will feel after a few hours of use. Remember, as the size of the tool increases, the weight of the tool also increases. Larger tools are efficient, just remember to choose one that won't wear you out too quickly. Here are some of the different tools you might find. You use a shovel mainly for digging, but some have other specialized uses, including making deep, narrow holes; edging; moving stuff around, and trenching. 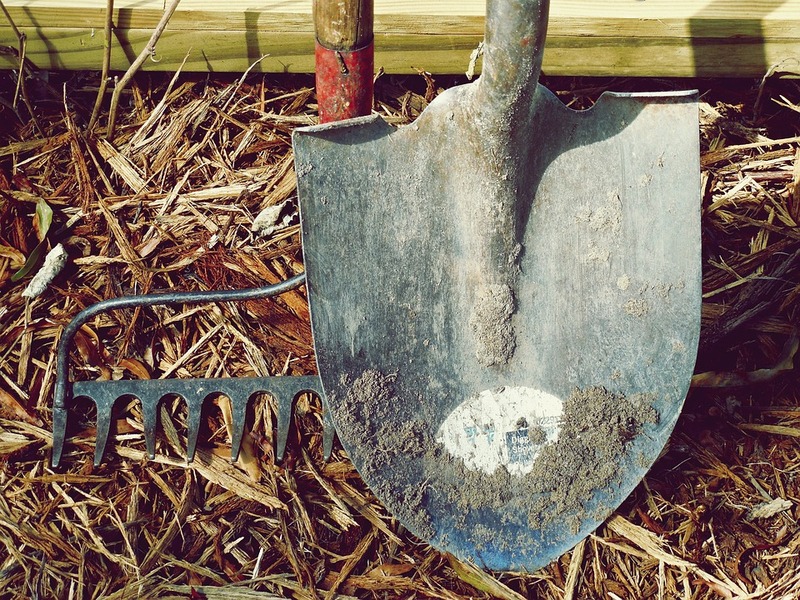 The shovel is the mainstay and workhorse of the garden shed. Rounded shovels usually have a beveled edge to help penetrate tough soil situations. They may also have a point to push into soil. The edges are curved to facilitate scooping. Handles are the height at which most people stand and can be ergonomically angled. Grips are often cushioned to prevent blisters. This is the workhorse of the garden, found in virtually every tool shed. It has a rounded blade with a point that permits easier ground penetration. The blade is slightly hollowed, allowing you to scoop dirt, mulch and more, and move it around. Not all garden shovels are created the same. They come with differently shaped blades and handles and not surprisingly are made with different materials as well. Garden spades, for example, have particularly sharp blades which are useful for edging a garden, cutting sod and transplanting plants. Featuring a shorter handle with a D-grip and a blade with a straight, sharp edge, the spade's main purpose is to cut clean edges in turf or mulch. You can also use it to chop through small roots and dig shallow, square holes for plants. 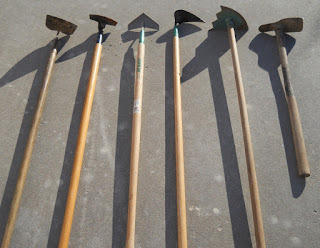 Hoes come in dozens of shapes and sizes and serve many functions, from preparing and furrowing soil to weeding and cultivating it. 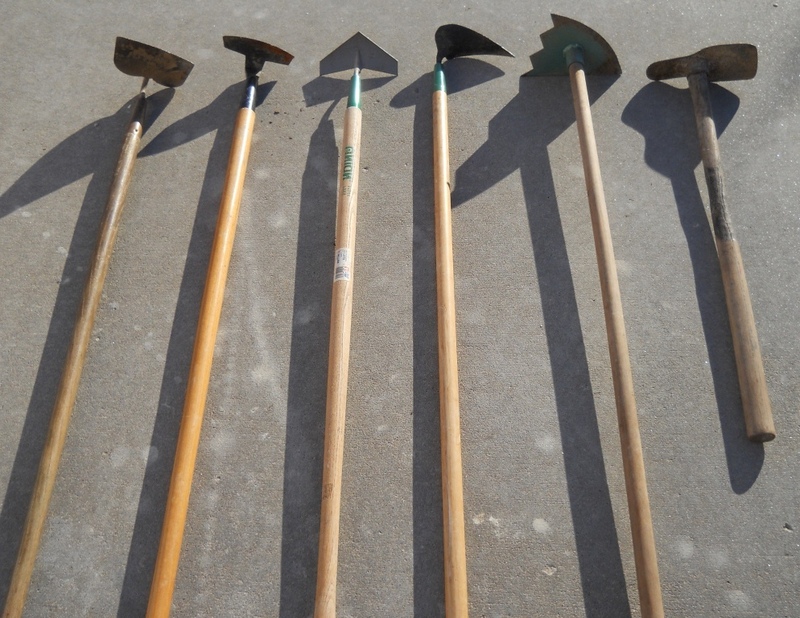 Garden Hand Hoes, Japanese Garden Hoes, Short Handled Hoes, Long Handled Hoes and garden hand tools online. The floral hoe cuts into the soil quite deeply. Naturally, you wouldn’t want to use this hoe on very shallow-rooted crops. The Warren hoe can get between small plants much easier than the broader bladed hoe. The scuffle hoe, which is pushed back and forth just under the surface of the soil, is for very shallow cultivating and is best used on plants which have roots very close to the surface of the ground. This tool is a necessity when your soil is rocky or full of tree roots. Use the broad hoelike blade to pulverize small rocks and soil clods. A wide range of tasks that fall under the remit of landscaping can be undertaken with the use of a pick axe. 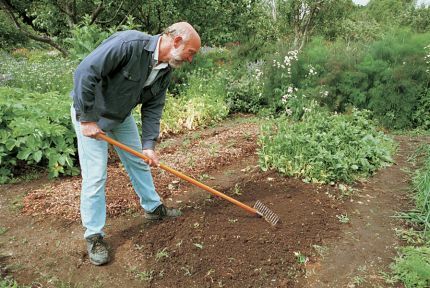 Normal soil that has become dry and hardened can normally be broken up with a shovel. However, this will be more difficult when it comes to hard clay and hard rocky-type soils. Using the sharp end of the ax will enable you to break up the materials so that it can be removed as necessary. 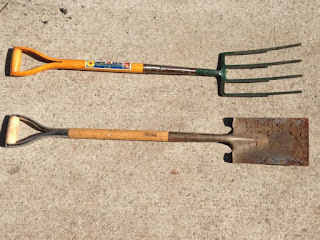 Garden rakes can sometimes be called soil rakes, bow rakes, ground rakes or level heads. These have fairly long, straight heads which have short, rigid tines. 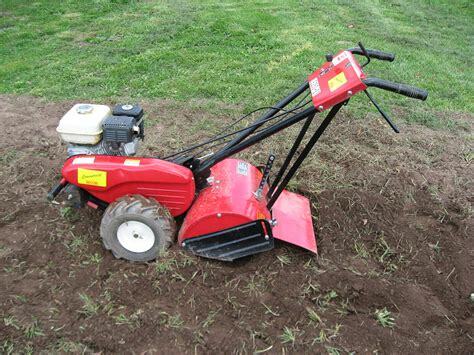 They are designed for some heavy jobs, such as breaking up hard soil and creating planting rows. You’ll probably want one of each type—a steel garden rake and a steel or bamboo leaf rake. Garden rakes make short work of leveling out the ground and creating raised beds, and leaf rakes are good for spreading lightweight mulches and smoothing the finely prepared soil on top of a seedbed. A spading fork’s four tines are much heavier than those of a pitchfork. If well-made, it’s a rugged tool, built to do battle with soil — and the rocks it contains — without bending. It pierces the ground more easily than would a shovel or a spade and is great for pre-loosening soil that you can then lift out with a shovel, and for breaking up heavy soil clumps so that amendments can be added. The stubborn, matted roots of meadow grasses yield to it and can then be yanked intact. Dandelions are pulled out unbroken if a spading fork has probed around them. The digging fork, a similar tool with flattened tines, is the best one for prying out root crops such as carrots and potatoes. If you're looking to till a new garden, cultivators are no match for the raw power and size of a garden tiller. Garden tillers are gas-powered dirt crushers with larger tines and the strength to break through the hard ground. Even if you've already got a large garden that needs tilling and cultivating year-after-year, a garden tiller will help you get your garden ready in less time, covering more area more easily.